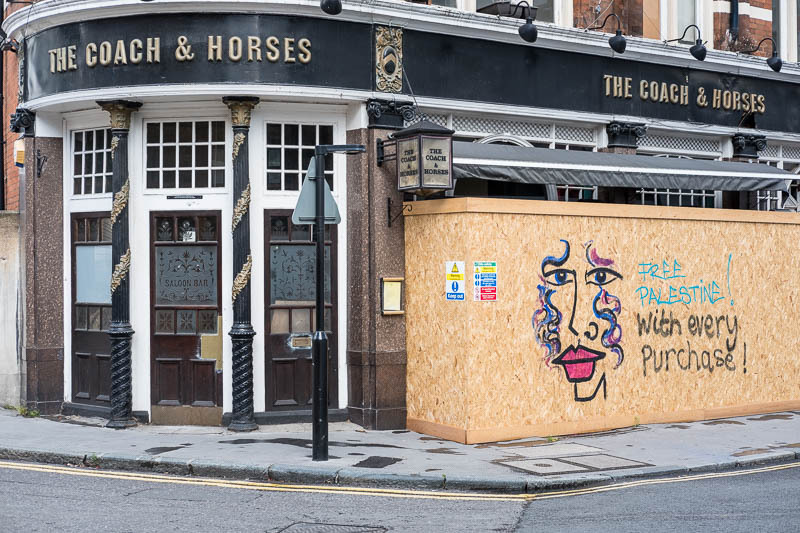 It has been a wee while since I explored around Clerkenwell, hence I was rather surprised to find the Coach & Horses pub had closed. A lovely old place not far from where the Royal Mail sorting centre was until it was sold off to developers. The area is very quiet now. I guess more glass boxes will go up in the area. That's too bad. Be interesting to see what will replace it. Looks like a great location for something new. It looks like a very attractive place from the outside. It's a shame it's closed. Unfortunately a sign of the times. A shame. The developers won't care. The close out in the country as well, out village had six now we are down to two, the next village over now has none. Profits come first for the big brewerys which own most of the pubs, they don't care about the landlord tring to make a living or the people from the villages who go there. So sad to see! There will only be generic bars left one day! Oh, that is sad and it looked like a grand old pub too.